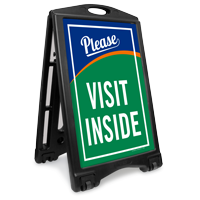 Invite visitors to come inside your store with our 'Please - Visit Inside' sidewalk roller sign. Excellent design and bright colors are hard to miss. 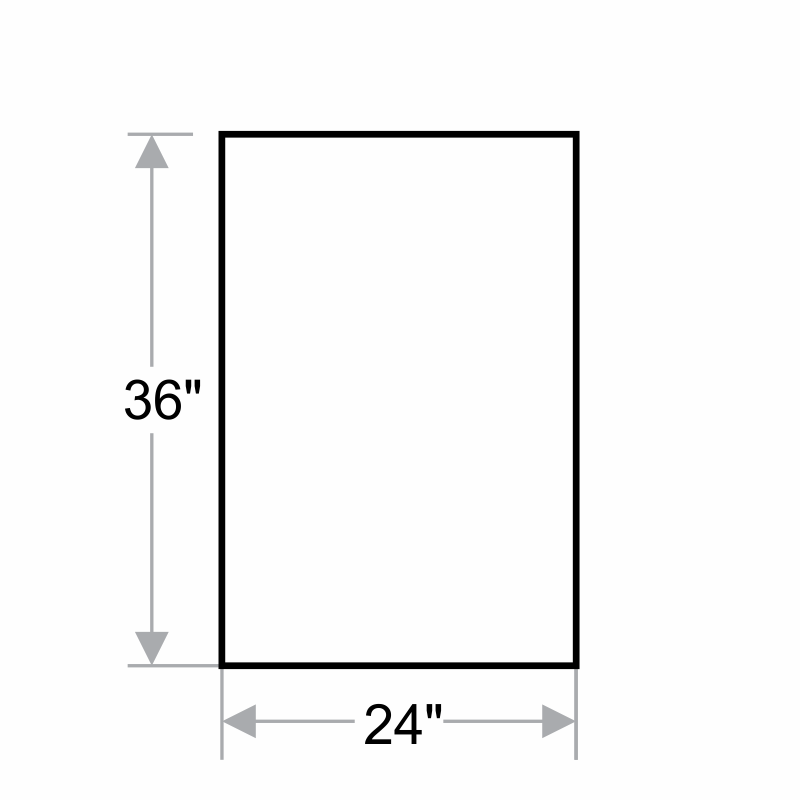 • Sidewalk Sign Kit includes a sturdy frame and two 24" x 36" signs. • Signs fit in the A-frame easily. 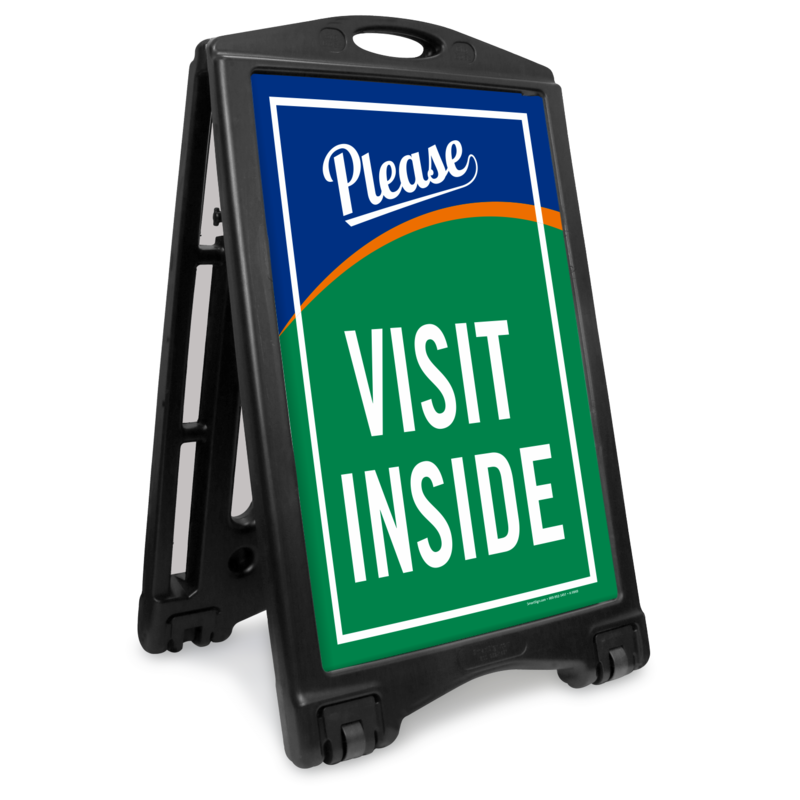 The “EZ Lock” feature offers security by averting and deterring unauthorized individuals from fiddling with your sign.